Include energy storage devices within the definition of a Small Generating Facility. 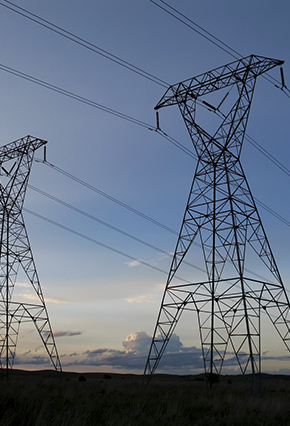 The Commission asserts that these revisions will “reduce the time and cost to process small generator interconnection requests . . . , maintain reliability, increase energy supply, and remove barriers to the development of new energy resources.” 145 FERC ¶ 61,159 at P 3. By allowing for pre-application reports and increased use of the Fast Track process, for example, the Commission hopes to more efficiently and cost-effectively accommodate the growing number of distributed resources and small generator interconnection requests driven by state renewable portfolio standards. In particular, the solar energy sector is expected to benefit significantly from the revised SGIP, which comes at a time when a number of states are implementing laws intended to boost investment in distribution-level solar energy facilities. The Commission noted that it will allow transmission providers to propose regional differences in complying with the Final Rule. Therefore, implementation of the revised SGIP may vary by region depending on the primary energy resources in the small generator interconnection queue. While the Final Rule expands eligibility for participation in the Fast Track process to certain projects up to 5 MW, it does not apply to distribution-level interconnections that are regulated under state law such as most residential solar installations. The effective date of the Final Rule is 60 days from its publication in the Federal Register. Transmission provider compliance filings to adopt the new SGIP process are due within six months of the effective date. For additional information, please contact David Yaffe, Jessica Friedman, or any member of the firm’s Electric Practice at (202) 298 – 1800 in Washington, D.C. or in Seattle at (206) 623 – 9372.